The extraordinary beauty of the area, the artistic and archeological attractions are some of the reasons why thousands of tourists choose Alghero as their holiday option. The historical centre is one of the most interesting in Sardinia. Its origin can be traced back to 1300. It is characterised by massive city walls, refined historical palaces, old churches, which, together with the local dialect and traditions, remind us of its Catalan heritage. 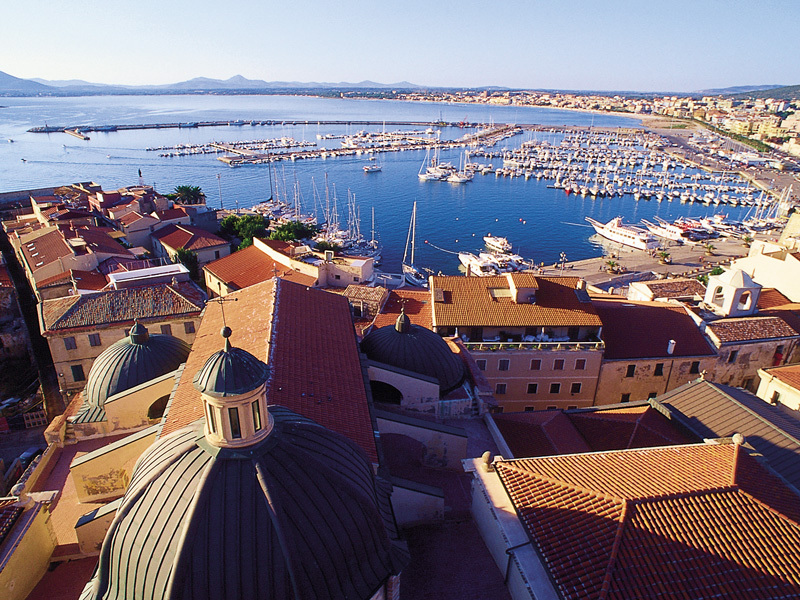 A visit of the town can start from the harbour, surmounted by the Maddalena Bastion and the eponymous Tower; it is through the near Porta a Mare (Gate to the Sea) that you can get directly into the heart of historic Alghero, the Piazza Civica (Main Square). Still at an easy walking distance stands St Michael's Church, built in 1612. The latter is characterized by a majestic, multicoloured majolica-tiled cupola. The towers and bastions all around old Alghero are the remains of previous medieval fortifications. The town walls towards the mainland are no longer there, except for St John's Tower and the Tower of Porta a Terra, which today hosts the town virtual museum.